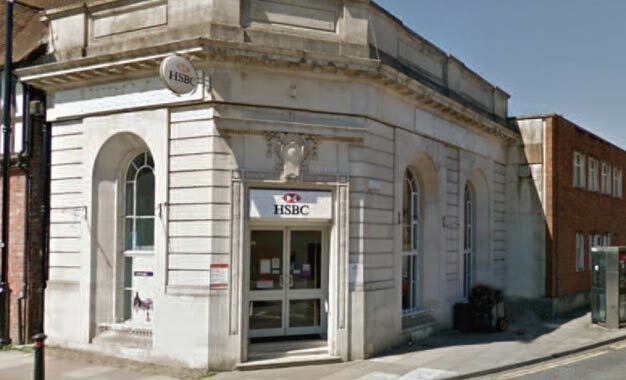 This ex HSBC bank building was built in circa 1930 and later extended by the Midland Bank over two floors to the rear of the Banking Hall, which housed full banking facilities for many years in the town centre with additional office space for the Banks area and specialist management departments at second floor level. The property is situated in the centre of Haslemere in a prominent position being close to the junction of the High Street and Petworth Road. Haslemere is a prosperous and attractive Market Town situated in the South-West corner of Surrey close to the West Sussex and Hampshire border. Haslemere benefits from good road connections to London (44 miles via the A3), the ferry port at Portsmouth (26 miles) whilst both Gatwick and Heathrow Airports are some 40 miles and 50 miles distant respectively. Haslemere mainline railway station is close by and provides a fast and regular service to London (Waterloo). The town centre offers a selection of restaurants, pubs and cafes alongside a good mix of multiple and independent retailers within close proximity. Retailers already established in the town include Waitrose, ASK Italian, Costa Coffee, Lloyds Pharmacy, Space NK and many other independent establishments including Lloyds Bank and the soon to be opened newly refurbished Post Office in West Street. 19 High Street, Haslemere. GU27 2HQ.